This entry was posted in Documents and Reports on April 15, 2011 by Ian. Visit http://ccrjustice.org/secure-communities to view legal documents filed today. October 28, 2010, New York – Today, the National Day Laborer Organization Network (NDLON), the Center for Constitutional Rights (CCR) and the Kathryn O. Greenberg Immigration Justice Clinic of Cardozo Law filed an injunction in federal court to require the Immigration and Customs Enforcement (ICE) agency to turn over critical documents on the ability for communities to opt-out of the “Secure Communities” (S-Comm) program that enlists local police to become what ICE describes as a “force multiplier” for immigration enforcement. So far, at least, San Francisco and Santa Clara, California, and Arlington, Virginia, have formally requested to opt-out of S-Comm. The emergency injunction is being filed before those municipalities who have voted to opt-out are scheduled to meet with ICE in early November. The lack of information and mixed messages from the agency, however, is causing confusion, leaving local law enforcement frustrated about an issue that groups say is undermining community safety. The injunction specifically seeks to prevent ICE from withholding documents on the “opt-out” policy to allow local communities to have the information necessary to make determination regarding the S-Comm program. The documents requested should have already been turned over Freedom of Information Act (FOIA) law suit filed last April, which ICE has only partially complied with. “The government is signing agreements with States without local jurisdictions’ permission. Obtaining records related to the opting out process is essential to maintain an open government process and safeguard local governments’ ability to make decisions that impact their constituents. Especially for places like San Francisco, Santa Clara and Arlington, the public can no longer wait for the records,” said CCR staff attorney Sunita Patel. According to advocates who have reviewed the initial S-Comm documents from the FOIA case, they reveal a pattern of dishonesty. Information about the nascent program has been scarce, and the development of operational details has been shrouded in secrecy. S-Comm, which currently operates in approximately 600 jurisdictions across the country, functions like the controversial 287(g) program and Arizona’s SB1070, making state and local police central to the enforcement of federal immigration law. The program automatically runs fingerprints through immigration databases for all people arrested and targets them for detention and deportation even if their criminal charges are minor, eventually dismissed, or the result of an unlawful arrest. This entry was posted in Documents and Reports, Organizing Resources, Press Coverage on October 28, 2010 by Ian. Click here to download the full PDF, including footnotes. 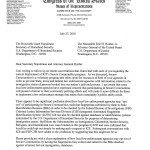 We are writing to request that the Office of the Inspector General (OIG) conduct audits into whether the Department of Homeland Security (DHS) programs, Secure Communities and the Criminal Alien Program (CAP) comport with basic constitutional protections, their Congressional mandates, and the agency’s stated priorities. This request follows a related meeting with your office on July 22, 2010. Secure Communities and CAP are part of a growing system of programs which partner local law enforcement agencies with Immigration and Customs Enforcement (ICE) in the enforcement of federal immigration laws. Through Secure Communities, which was implemented in 2008, the fingerprints of criminal arrestees at participating law enforcement agencies are run against DHS databases for checks on immigration history. 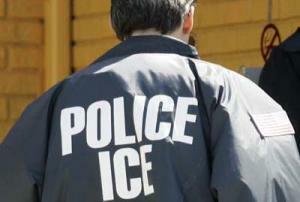 Secure Communities is ICE’s fastest growing immigration enforcement program, with anticipated nationwide implementation by 2013. Secure Communities has radically changed the relationship that states and localities have with ICE by linking the criminal justice system to immigration enforcement in an unprecedented manner. As of April 2010, Secure Communities has resulted in over 2 million fingerprint submissions, with matches found on just over 200,000 of those submitted. Immigration holds have been placed on over 50,000 individuals and nearly 40,000 have been deported pursuant to Secure Communities.1 By ICE’s own description, Secure Communities is the future of immigration enforcement. 2 Therefore, it deserves and necessitates careful review to determine the extent of the abuses that are occurring. The Criminal Alien Program, by comparison, is one of ICE’s oldest immigration enforcement programs, currently operating in most local, state, and federal jails and prisons throughout the country. Under CAP, ICE agents physically present in jails and prisons or by telephone screen inmates flagged by jail or prison officials as being foreign-born to determine if they are removable. CAP results in a significant number of immigration enforcement actions – according to a report by ICE’s Office of Detention Policy and Planning, nearly half (48 percent) of the admissions and the average daily population in ICE custody for fiscal year 2009 were identified through the CAP program.3 Therefore, review of this enforcement program is also warranted and necessary. As explained by advocates present at the July 22nd meeting, ICE has been less than transparent about these programs. ICE has not shared how these programs operate, and what they actually achieve (as compared to what ICE claims are the program’s goals). The limited information that ICE has made publicly available about Secure Communities and CAP indicates that the programs operate with few if any formal guidelines4, take a hands-off approach to the circumstances that lead to the person’s contact with ICE (even when those circumstances include racial profiling), and focus in practice on persons arrested for minor offenses instead of those convicted of serious offenses who pose a danger to the community. Both Secure Communities and CAP are largely unstudied programs. In the case of CAP, the program has been in operation for more than 25 years; however no real audit has been conducted to examine the program’s operation and impact. Although there is scant information publicly available on these programs, piecing together what information is currently available leads to serious concerns about how these programs operate and whether their results are properly aligned with program goals. Secure Communities and CAP overwhelmingly result in identification and referral to ICE of persons arrested on minor or less serious charges. Both programs are susceptible to abuse because there are no safeguards to ensure that racial profiling or related abuses do not result or are not implicitly encouraged. An individual’s immigration history can be checked regardless of the severity of the arresting crime or whether the arrest ever results in a conviction or even a formal charge. Thus, mere arrest is sufficient to lead to detention and deportation in many cases. As a result, these programs provide perverse incentives to state and local police to arrest individuals who look or sound “foreign” so that their immigration status can be checked. Indeed, studies have shown that jail screening programs for immigration violations lead to increased rates of arrests of Latinos for petty offenses. 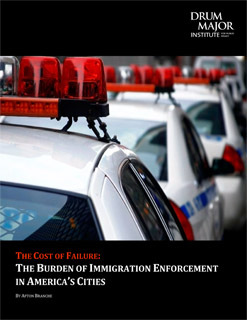 For example, a report on the CAP program by the Chief Justice Earl Warren Institute on Race, Ethnicity and Diversity at Berkeley School of Law found that implementation of the CAP program in Irving, Texas coincided with a spike in the arrests of Latinos for petty crimes.5 The report concluded that there is compelling evidence that the CAP program “tacitly encourages local police to arrest Hispanics for petty offenses.”6 It further noted that ICE is not following the program’s congressional mandate to focus resources on the deportation of immigrants with serious criminal histories. Individual stories further illustrate the program’s harmful impact on individuals charged with minor traffic offenses and its susceptibility to abuse. In Prince George’s County, Maryland, Perla Maradiaga was separated from her 17-day-old, nursing infant when she was arrested by local police officers for “driving or attempting to drive without a license”. Ms. Maradiaga’s fingerprints were checked against DHS databases as a result of Secure Communities, and she was subsequently handed over to ICE. Despite her requests to be reunited with her newborn child and for medical attention as a result of having recently given birth, Ms. Maradiaga was held for three days before being handed over to ICE agents and processed for deportation proceedings. Similarly, in Miami Dade County, a mother of two U.S. citizen children was arrested for driving without a license, handed over to ICE as a result of Secure Communities, and subsequently deported.10 While we highlight only two individual stories, here, there are countless other stories like these that demonstrate the operation of this program in a manner that does not comport with stated priorities, but instead works against the public interest. ICE maintains a hands-off policy regarding the nature and circumstances of arrests, a kind of willful blindness that precludes systematic examination of the program’s operation. To our knowledge, ICE has not put into place any mechanisms to ensure that the program’s purported focus on noncitizens convicted of serious offenses is achieved. If such mechanisms do exist, they are not functioning to keep the program on course for alignment with its stated goals and priorities. ICE also does not monitor or supervise the local agencies partnering in these programs to ensure that civil rights and programmatic violations do not occur. Moreover, the way these programs are currently deployed does not ensure that local agencies with proven problematic civil rights records don’t operate the program, or at minimum are specifically monitored. Despite the reach and impact of Secure Communities, which currently operates in 552 jurisdictions in 29 states, the program remains shrouded in mystery. This is a result of ICE’s lack of transparency about how the program operates, notice to local communities that the program is being deployed, and what sort of ability local communities have to decline or limit their participation. Similarly, ICE has not been transparent about the CAP program. The only information that ICE has publicly released regarding how this program operates appears in a one-page description on ICE’s website.13 This is simply insufficient for a program of this size and scope. ICE does not provide information about where the program operates or how advocates can raise concerns about the manner in which it operates. ICE’s secrecy effectively chills public debate on the wisdom of adopting these programs in a given community and prevents communities from tracking their impact. As discussed in greater detail in the sections that follow, ICE has kept secret how the technology used in Secure Communities works, despite numerous requests from advocates. ICE has always represented to the public that participation in Secure Communities is predicated on the state identification bureau signing an MOA, but in the case of at least one state, ICE agreed to proceed without an MOA, a fact which hid the operation of the program from the public.15 In documents obtained through a FOIA request by the National Immigration Law Center, ICE notes that it permitted Pennsylvania to participate in the program without an MOA and that it would pursue this same approach with other states. In short, this means that ICE permits the Secure Communities program to operate in certain states without adequate rules to govern its operation. After a state has signed an MOA with ICE, rollout of Secure Communities on the local level proceeds according to ICE’s deployment strategy. Initially ICE required that local agencies opting to participate in Secure Communities sign a statement of intent to abide by the program’s Standard Operating Procedures, but ICE has since abandoned this practice. Indeed, although the local agency is the entity actually charged with operating the day to day elements of the program, this partnership is not memorialized in any written agreement. Importantly, ICE also does not require or provide any training for local law enforcement officials participating in either the Secure Communities or CAP programs. ICE’s practice regarding immigration detainers compounds other problems underlying the Secure Communities and CAP programs. An immigration detainer is an official request from ICE to another law enforcement agency, that the agency notify ICE prior to releasing an individual from custody. Detainers are the primary tool through which ICE effectuates the initiation of removal proceedings and deportation under both the Secure Communities and CAP programs. However, ICE issues detainers without regard for constitutional violations that may have occurred at the point of arrest. For example, in Sonoma County, California, an immigrant was arrested by local police, but the criminal case was later dismissed because of serious Fourth Amendment violations occurring prior to the arrest. However, before this individual could be released from criminal custody, he was identified by the Secure Communities program and an ICE detainer prevented his release. Detainers are also issued regardless of the basis for the arrest. Although ICE’s policy regarding issuance of detainers17, like its stated goals for the Secure Communities and CAP programs, purports to target individuals posing the most serious risk to the public, ICE has not instituted any controls to actually achieve this specific goal. The lack of safeguards in the Secure Communities program means that a significant number U.S. citizens and lawful permanent residents who are not removable are identified through the operation of this program.18 After an individual is identified through Secure Communities, a detainer is often placed without more investigation. As a result, the program indiscriminately targets noncitizens and ICE’s use of immigration detainers far too often results in prolonged and unjustified detention. Advocates across the country have raised these and other concerns regarding ICE’s detainer practices in formal comments submitted to the agency.19 The issues raised in these comments further underscore the ways in which ICE’s detainer practices exacerbate problems in the Secure Communities and CAP programs. In response to the concerns about the Secure Communities program, some communities have asked not to participate or to limit their participation. Yet, despite repeated public statements that participation in Secure Communities is voluntary, ICE has been unclear as to the procedure for opting out or limiting participation in the program. As a result, once the state signs an MOA with ICE, local agencies find themselves participating in the program whether they want to or not. Several jurisdictions have recently voted to decline participating in, or “opt-out” of, the Secure Communities program, including San Francisco, Santa Clara, Arlington, and the District of Columbia. Yet, only one has been able to effectuate its request to opt-out whereas the others have instead been given the run-around from ICE. Originally, localities were told to direct their requests to the state identification bureau, the entity responsible for receiving the fingerprints and which signed the Secure Communities MOA with ICE. However, these efforts proved unsuccessful and localities were left with no answers about how to seize upon the supposed voluntary nature of this program. Efforts by members of Congress to obtain clarification about a local agency’s ability to decline or control participation in Secure Communities have been similarly frustrated. U.S. Representative Zoe Lofgren (Democrat-California), Chair of the House Judiciary Committee’s Subcommittee on Immigration, Citizenship, Refugees, Border Security and International Law wrote to Secretary of Homeland Security Janet Napolitano and U.S.
ICE purported to addressed confusion regarding the opt-out provision in its August 17, 2010 memo, “Setting the Record Straight.”21 However, the process ICE outlined for a locality to pursue opting-out, namely sending a written request to the state and to ICE, has already been pursued by San Francisco County and did not lead to any success in declining participation (the program went live in San Francisco County in June 2010). In yet another example of ICE’s obfuscation, Secure Communities Executive Director, David Venturella remarked in an LA Times article that ICE was not currently matching fingerprints from unwilling counties out of “political sensitivity.”22 Moreover, in a recent press conference announcing the deportation figures for fiscal year 2010, DHS Secretary Janet Napolitano declared that Secure Communities operates on an agreement between DHS and the Department of Justice and that the agency does not view it as an opt-in/out-out “kind of a program.”23 According to Secretary Napolitano, the program does not require the cooperation of state or local agencies and localities do not have the option of declining participation. This directly contradicts ICE’s prior public statements about the voluntary nature of the program and the purported process for opting-out outlined in the August 17th memo. There is a serious need for clarity regarding whether the program is voluntary and, assuming this is the case, the process by which a locality can decline participation. Theoretical concerns and anecdotal evidence of fundamental flaws with the Secure Communities and CAP program abound.24 But the problems endemic to both programs are of unknown proportions. Absent audits and resulting recommendations, the programs will continue to be implemented without oversight and the violations, misinformation, and human costs will continue to accumulate. (3) What controls currently operate to address civil rights and civil liberties concerns (including mechanisms for oversight, and data collection and reporting) and what controls need to be put in place. Thank you for your consideration. For follow-up please contact Melissa Keaney at the National Immigration Law Center, (213) 674-2820. This entry was posted in Documents and Reports, Organizing Resources on October 7, 2010 by Ian. 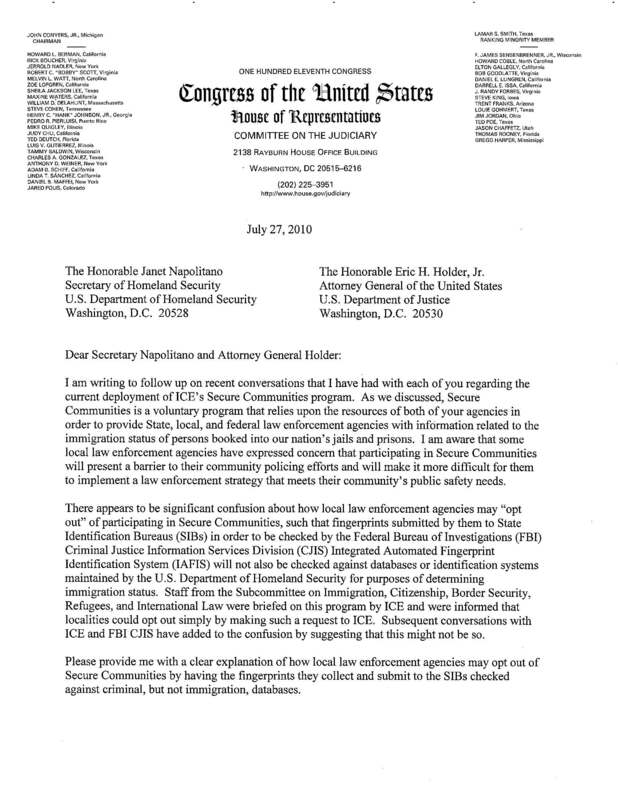 July 27, 2010 Letter from Representative Zoe Lofgren (Chairperson of the Subcommittee on Immigration, Citizenship, Refugees, Border Security and International Law) to Secretary of Homeland Security Janet Napolitano and U.S. Attorney General Eric Holder. This letter points to confusion regarding local jurisdictions’ ability to “opt out” of the Secure Communities program. This entry was posted in Documents and Reports on August 10, 2010 by Ian.